Now THAT is the face of a man that's completely in awe of his new daughter! 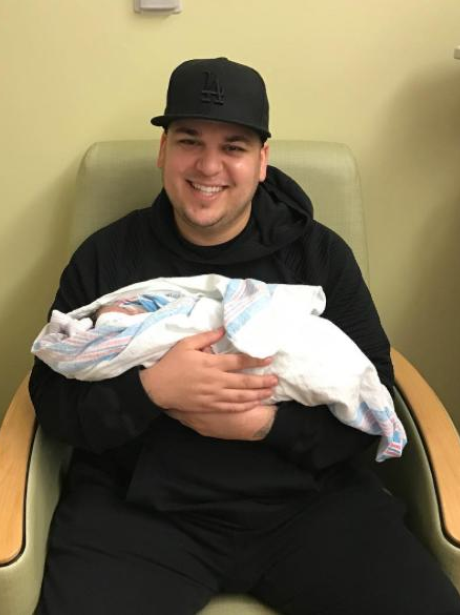 Dream Kardashian's Baby Album - All The Most Adorable Photos Of Rob & Blac Chyna's Baby! 4. Now THAT is the face of a man that's completely in awe of his new daughter! See the full gallery: Dream Kardashian's Baby Album - All The Most Adorable Photos Of Rob & Blac Chyna's Baby!